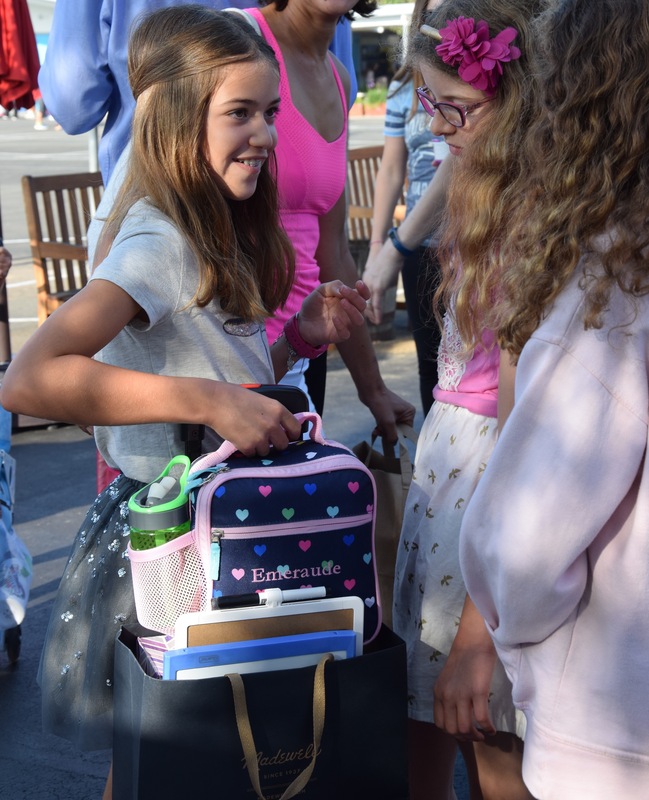 Back to school means reconnecting with friends, making new ones and knowing who your teachers will be. 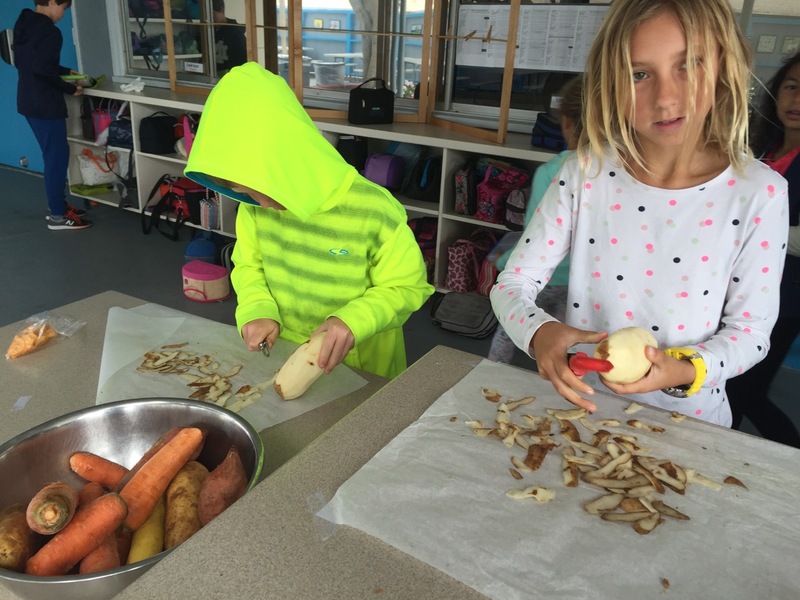 The Elementary blog is back and you will see how the year is going. 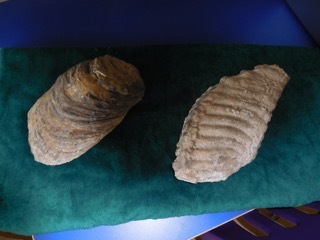 2nd graders have learned about the progression of organism and animal development based on the fossils found around the world. 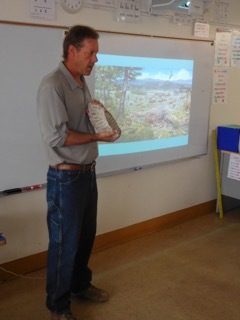 Todd Wirths (Annabelle’s father) also showed videos on how a paleontologist does his job at construction sites. 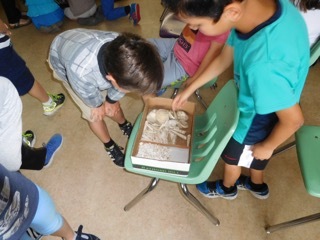 Students realized the importance of observing areas being dug up in case there is an important fossil in the ground! 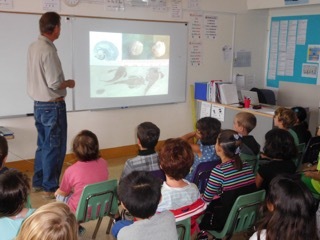 We can learn so much about the past from fossils! A big thank you to Todd Wirths! This is the end of the year and students in 2nd grade have matured and developed language skills in English and French. 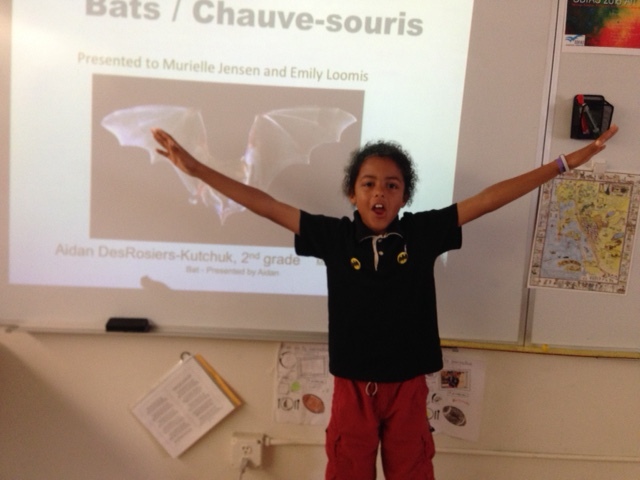 As a conclusion of the year, they were asked to present on one topic in both languages. 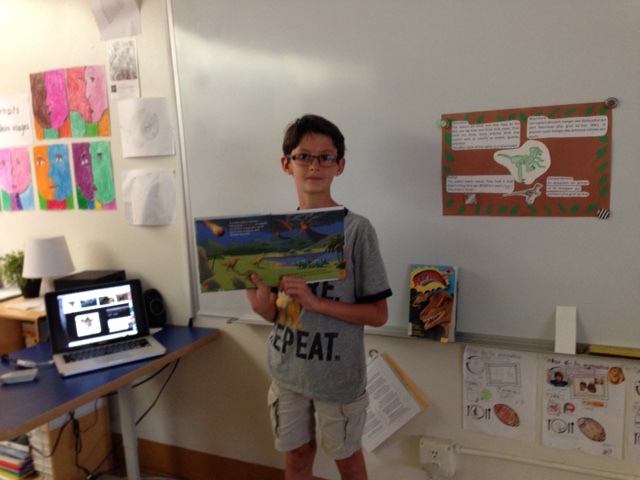 They were also creative with visuals for the presentation in front of the class. 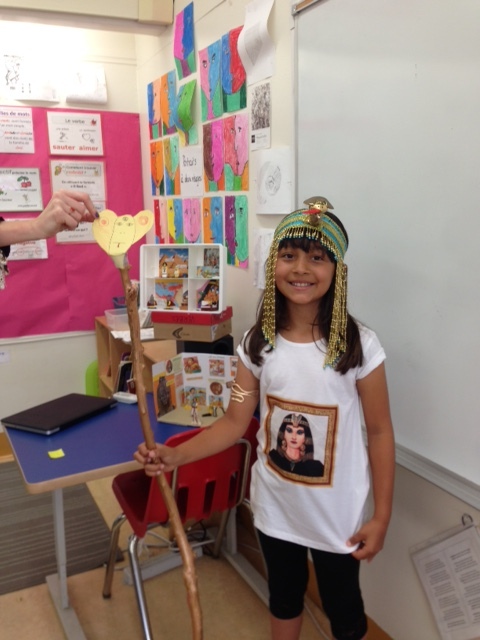 Here is a short sample of one student presenting a way to relax and other costumed presentation. 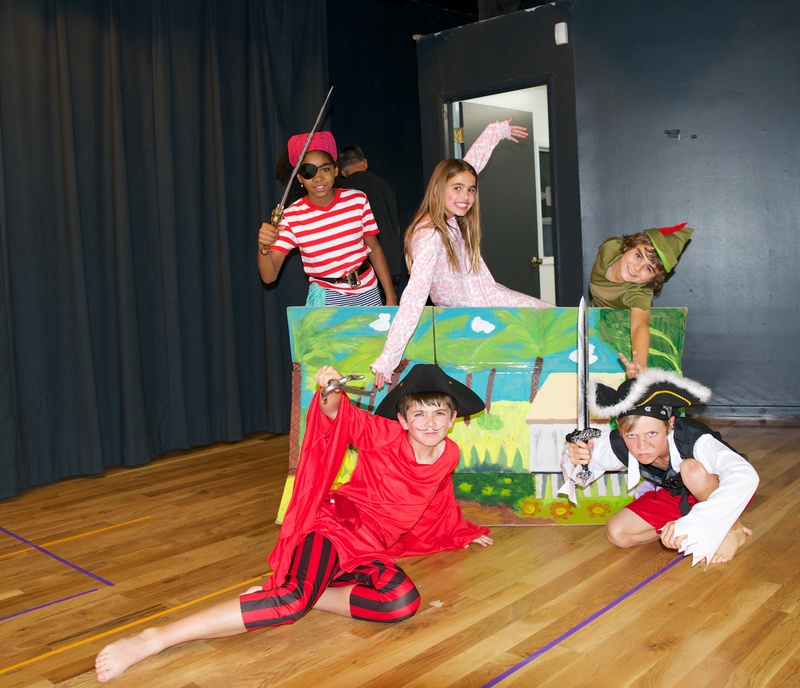 “Un grand Bravo!” to the 5th graders who presented their bilingual version of Peter Pan. 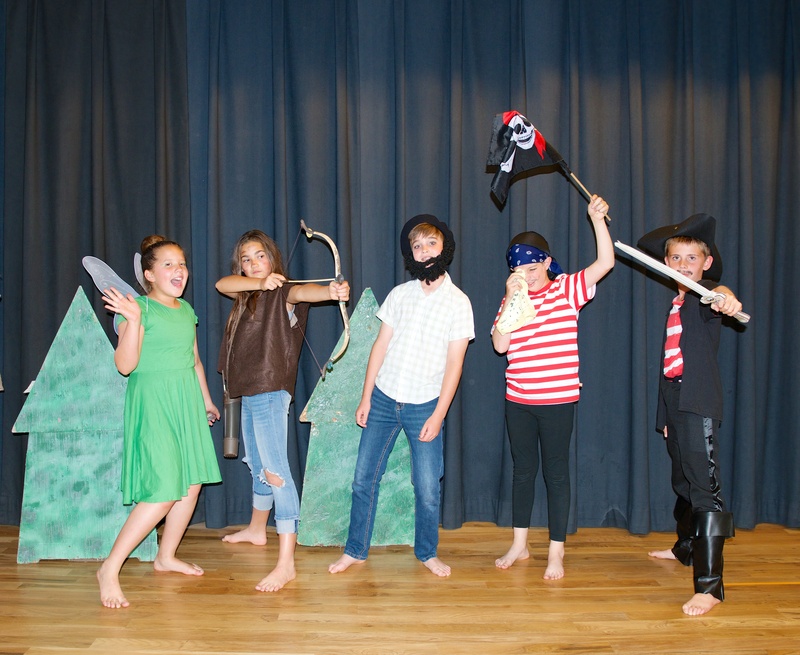 There were three performances comprised of a great story line, costumes, make-up, music, songs and humor. The energy was felt from all 30 students that were on stage. 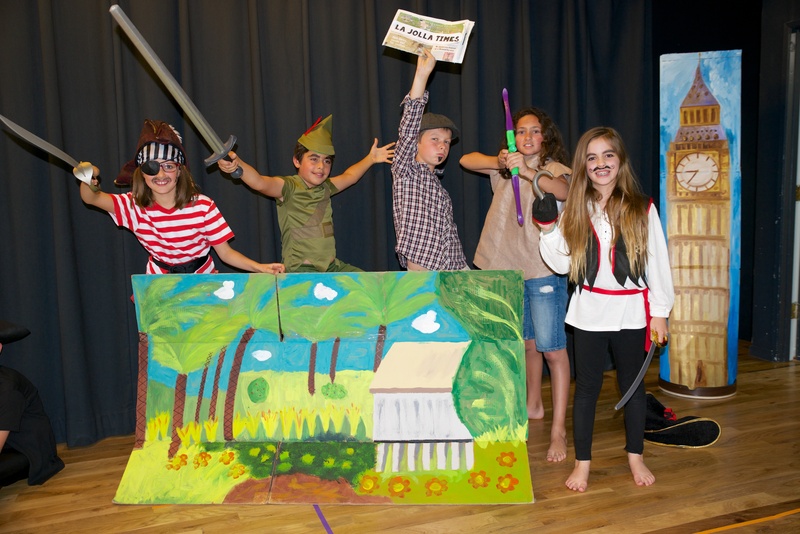 Congratulations to the young artists who participated to the Art Fair this week! 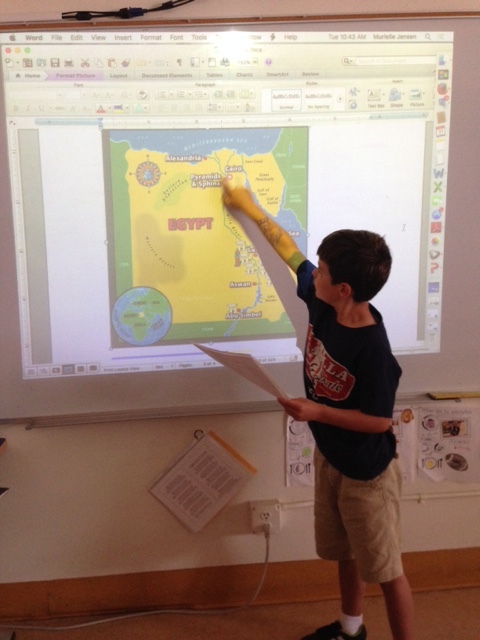 This is part of the Second grade presentation on various topics. The expose are done in French and English with both teachers in the class. 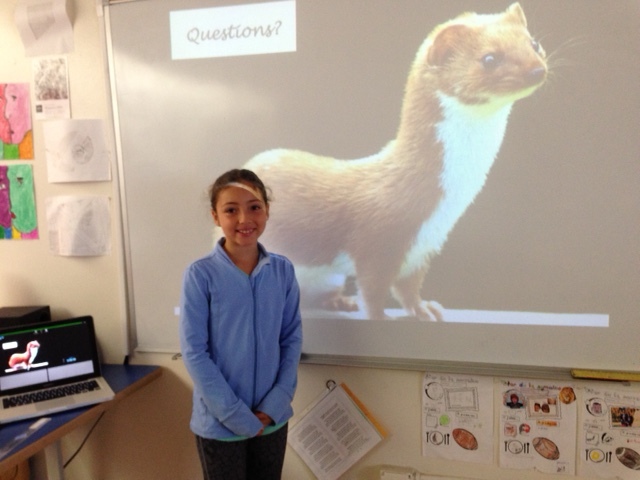 This week the audience in the classroom was captivated and has learned about different animal: the weasel, penguin, bats and raptors. In two weeks the presentation will be about a famous person. Yesterday, over 40 SDFAS students competed in the Kiwanis Junior Olympics at Clairemont High School. The annual track & field event invites all La Jolla students, ages 5 – 12, to enjoy a day of fun & competition. Students signed-up to test their skills in the 200m sprint, 100m sprint, 50m sprint, running broad jump, standing broad jump, obstacle course, and softball throw. SDFAS students raced, jumped and threw their way to gold, silver and bronze medals! Congratulations to all our young competitors! Additionally, each year at the Junior Olympics, each school is invited to choose 4 girls and 4 boys to race in the 4 x 100m relay races. The relay consists of one 8 year old, one 9 year old, one 10 year old and one 11 year old. This year, for the first time, BOTH the girls and boys relay teams placed 3rd out of 8 schools, and they were all awarded the bronze medal. Congratulations to Marie Rebeiz, Elisabeth Madany , Ella Schuppek , and Tahlia Zadeyan for being the first girls relay team in school history to place in the top 3! And to Aidan Des Rosiers – Kutchuk, Titouan Ferton, Nicola Redon, and Paul Madany for representing the boys! Bravo to our relay teams! 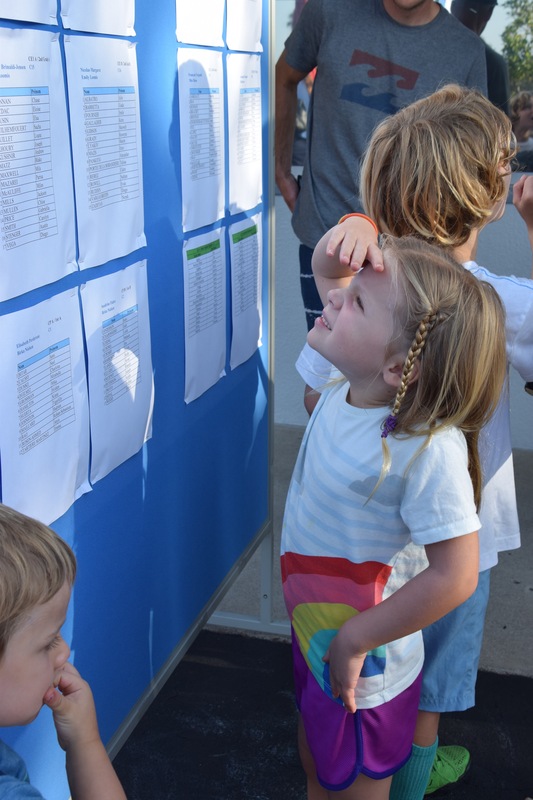 At the end of the day, each school sends their fastest runner to compete in a 400 meter race for the title of “Fastest Boy” and “Fastest Girl” in La Jolla. 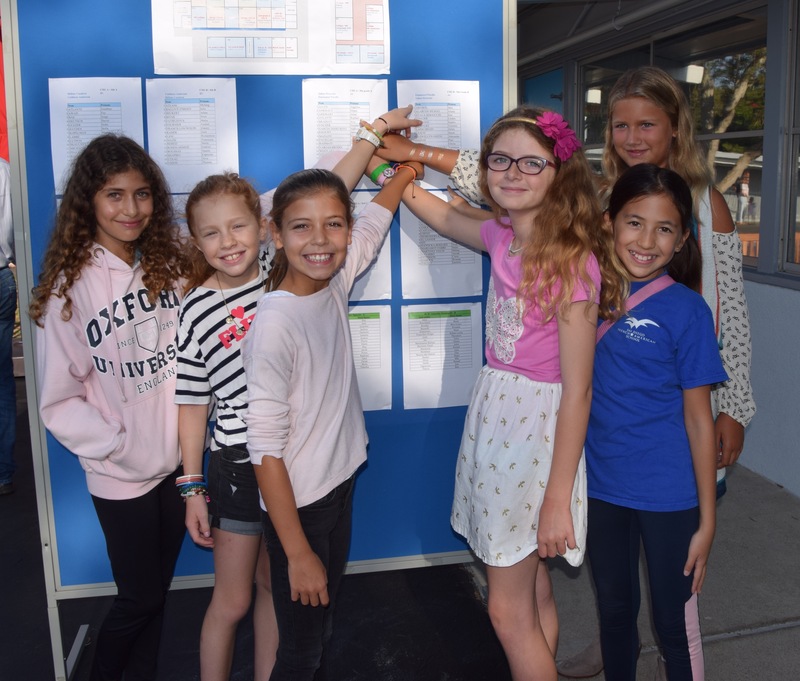 This year for the girls, 4th grader Tahlia Zadeyan represented SDFAS and finished as the 5th fastest girl in La Jolla, an amazing accomplishment for such a young athlete. 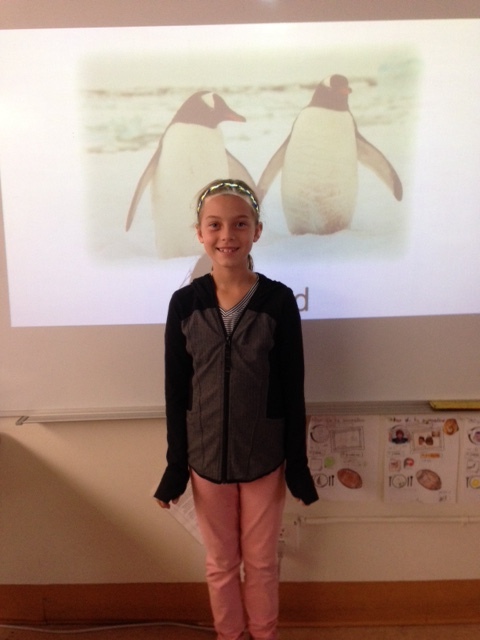 Good job, Tahlia! For the “Fastest Boy”, 5th grader John Guckian raced a strong and strategic race. His focus and determination, coupled with his raw talent was no match for any other boy in La Jolla. John had a fast start, held a competitive pace throughout the race, and out sprinted all other runners during the last 100 meters… Giving him the 2016 title of “Fastest Boy In La Jolla” and winning the gold medal! “San Diego French-American School, John Guckian, Fastest Boy in La Jolla 2016″will be engraved on a historical trophy with all past winners. What an monumental feat! 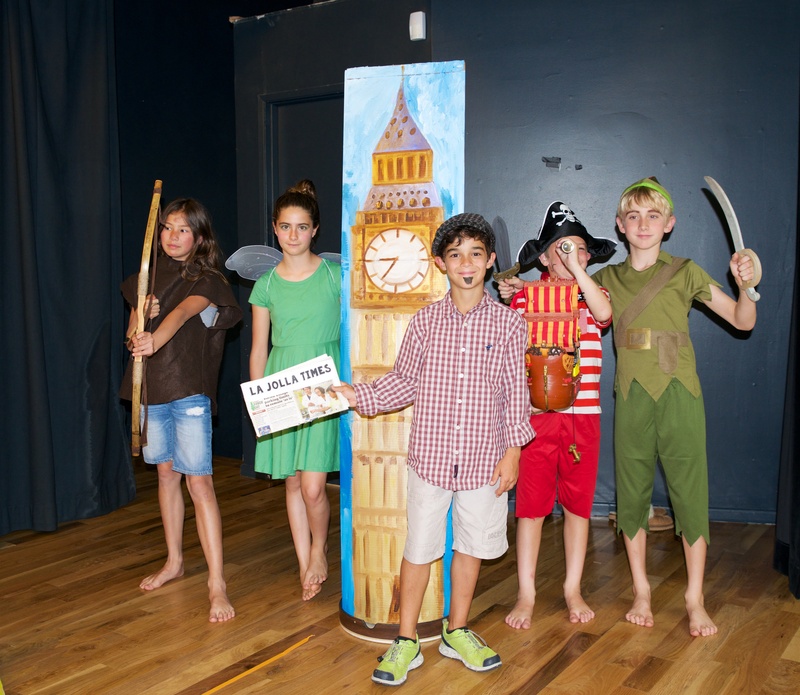 5th graders are working very hard in order to present their bilingual theater play: Peter Pan.They will present to all the students on Monday, May 16, Wednesday 18 and Friday 20 from 1:45 to 2:45. 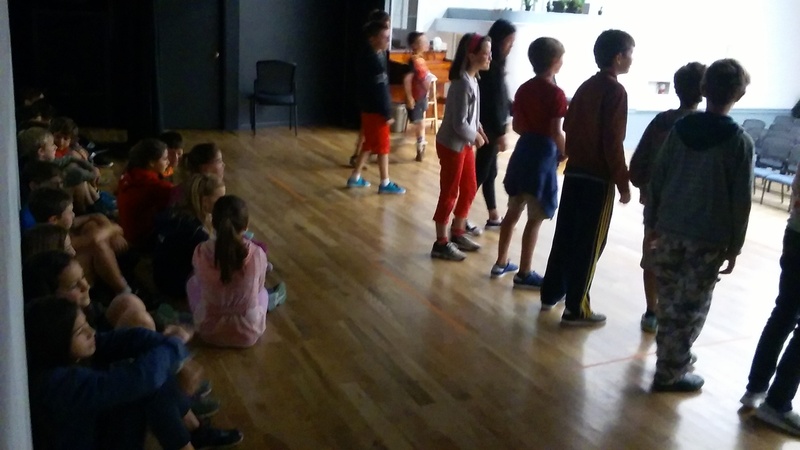 The fourth graders had the opportunity to see one of Roald Dahl’s famous stories, The BFG, come to life through theater on Wednesday, April 27th. 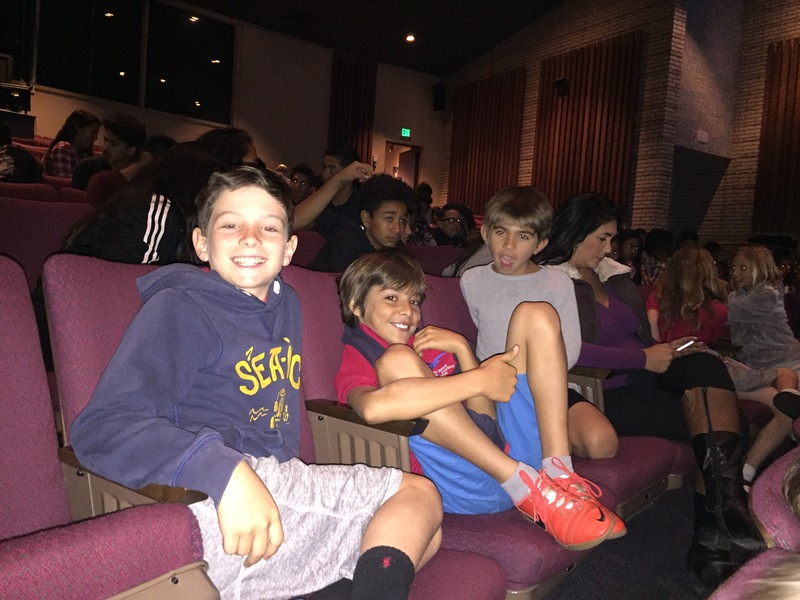 We attended the performance on San Diego State University’s campus at the Don Powell Theater. They did a wonderful job and we couldn’t stop talking about our favorite parts while we ate lunch on SDSU’s beautiful campus. It’s still showing for a few more days; don’t miss out! 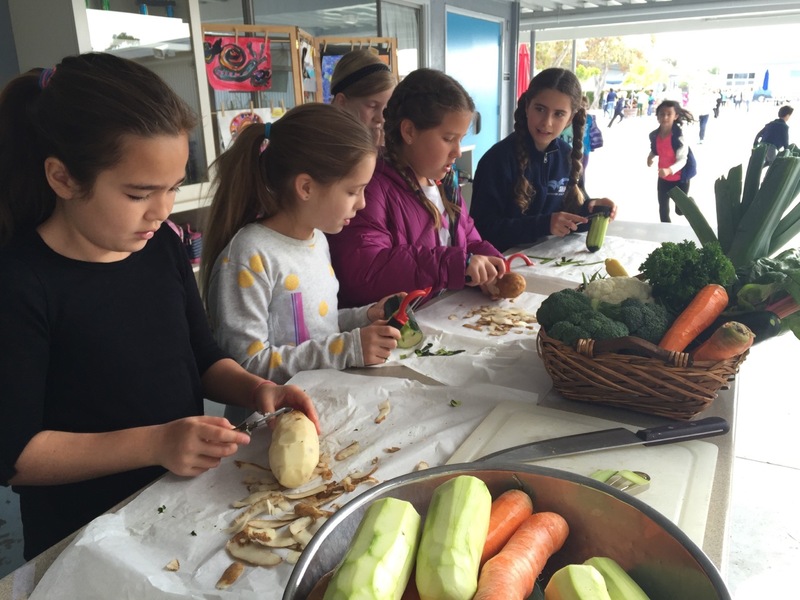 This year, SDFAS celebrates Earth Day on Thursday, April 14. 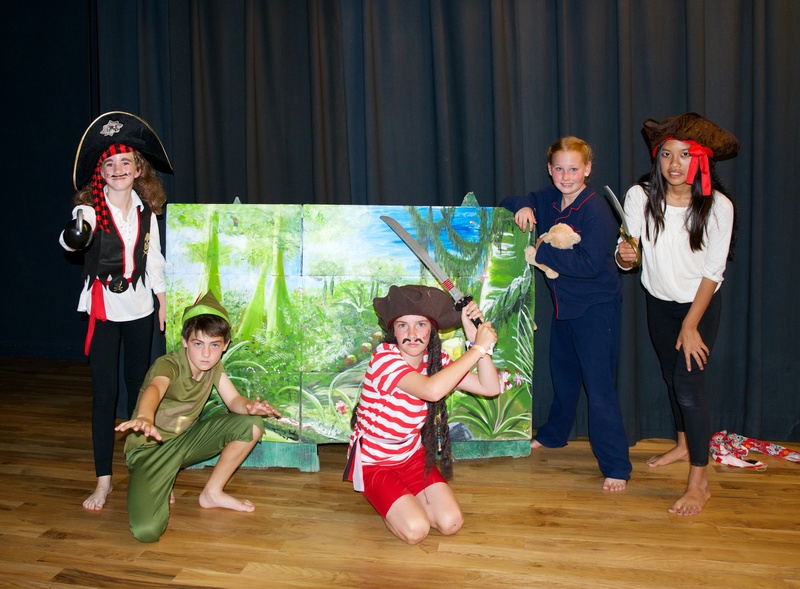 However, students have been working on different activities during the week. 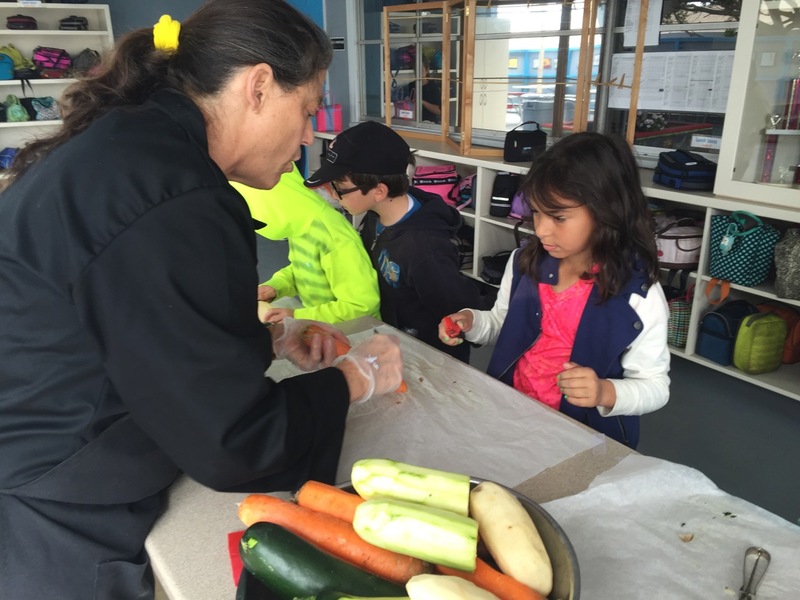 With the help of Jackie from Girard Gourmet, students had the opportunity to prepare a meal with “real” vegetables.